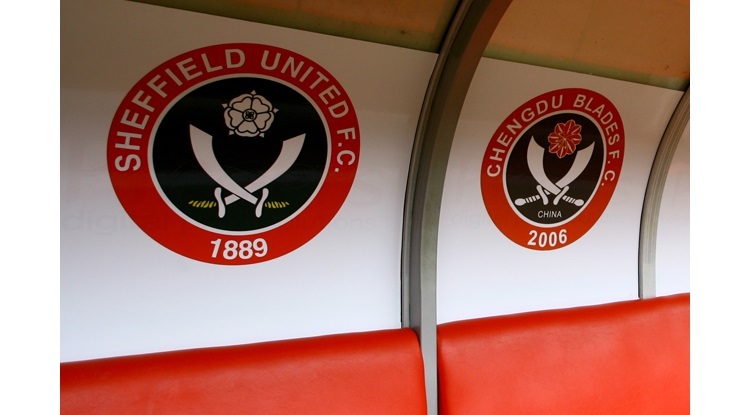 Walsall had been the last side to beat the Blades, doing so at the Bramall Lane (in the Checkatrade trophy) back in early October and they repeated the feat ending United’s 14 match unbeaten run. United blew a golden chance to go second and have now only picked up a point from two games they really should have won. As they had done in so many previous games, the Blades dominated possession and chances but tonight as in previous games could not turn this into goals. A smash and grab goal from Bakayoko after a fine ball from Oztumer gave Walsall a lead and they defended it wilfully, putting bodies on the line, making clearances and restricting United to scrambled efforts on the whole. When the Blades did get in they were wasteful with Sharp missing a crucial penalty; his second successive spot kick miss and other chances also went begging. Manager Wilder made one enforced change with Freeman in for Wright and Basham switching into the backline. They started again with Clarke and Sharp up front. Walsall had former Blades Cuvelier on the bench but had not won for 5 games. In bitterly cold conditions, the game began in the same manner as the last few home games with the opponents banking up in front of United and making the Blades play through them. Coutts, Duffy and Fleck had a lot of the ball but the Blades struggled to create much with the play quite narrow. Clarke and Sharp had not had any clear sights early on with much off the play in midfield. After a bright 10 minutes, Walsall started to come into the game. They won two corner and then a free kick after Basham’s sloppy touch saw Ebanks Landell pull his man down. The kick was taken by Oztumer and was looped up onto the bar before bouncing away. Moore was well beaten and almost caught out. Clarke then had his first opportunity but headed wide from a Duffy cross. Duffy then shot wide before Fleck had an effort off target. United had reasserted control and had their best chance when from a decent Fleck corner, O’Connell powered his header goalwards but Etheridge made a great reaction save and the ball was cleared on the line before a United player could react. Soon after Sharp had an effort block before Lafferty’s shot was deflected but Etheridge made a smart save low down. It had been the home side asking all the questions but against the run of play they were stunned when the visitors took the lead. The tricky Oztumer picked up the ball and with no one near him he managed to knock a through ball into the path of BAKAYOKO. It ought to have been dealt with by United’s backline but Ebanks Landell was slow to react and the striker got in and toed it past Moore and into the net. It was such a straight forward pass and finish and very much route one. The Blades had been caught completely cold. Half time came a few minutes later. After the break Oztumer’s shot was heading for the top corner but Moore made a good save tipping over. United were soon back on the attack and Sharp went down after getting caught up in a challenge but the referee waved play away. Great work from Freeman and Coutts saw the wing back away and send over a delightful cross that evaded everyone with Clarke too slow to react at the far post. Etheridge was warned for timewasting but the referee oddly decided to stop the game and tell him but not book him. He had already warned him previously which drew the ire from the United crowd even further. United continued to force the pressure but were struggling to break Walsall down and despite good patient passing, the final ball was awful. So many crosses were overplayed or hit the first man. From one good delivery, O’Connell ghosted in to head downwards and into the net but the referee saw some pushing by Ebanks Landell and disallowed the goal. It seemed a strange decision as not many Walsall players had appealed. Sharp was sent through from Fleck and Etheridge blocked before Clarke went around the keeper but could not convert from a narrow angle as the ball was blocked. Coutts then had an effort blocked as United ramped it up in front of the Kop. Sharp’s clever flicked effort was just over from a decent through ball over the top from Fleck. Appeals for another spot kick for a hand ball this time were waved away when the players hand seemed to be up as the ball struck him. Chapman was on for Basham and soon after United forced Etheridge into his first real save of the second half with Duffy’s clever free kick almost catching him out. Lavery came on for Lafferty as United now had almost a front 5 as they piled on the pressure as the game entered the final 10 minutes. Clarke headed wide as it was attack v defence but United could not get the vital breakthrough. A shot came in from Fleck and again loud shouts went up for a penalty kick. Finally; after giving United little all game, the referee deemed it had struck a Walsall players hand and gave the penalty kick. Sharp took it but as in the last game at the Lane; it was a really poor effort. He hit it almost down the middle again and the keeper saved it easily, holding the ball. United kept coming despite this huge disappointment. An O’Connell header looped just over and then as the game entered five minutes additional stoppage time; from a great Chapman cross Sharp bundled home. It seemed as if the equaliser had come but the referee deemed the United skipper had used his hand to convert. Freeman then had a shot at the keeper and Moore came up for a corner but Sharp could not turn goalwards from Clarke’s knock down. Soon after another wasted cross was taken by the excellent Etheridge and full time came moments later. A game United will wonder how they did not win let along fail to even get a point but once again inability to be ruthless in the final third and take chances came back to haunt a side that has controlled a game once again almost from start to finish.